The cluster flies are the genus Pollenia in the blowfly family Calliphoridae. 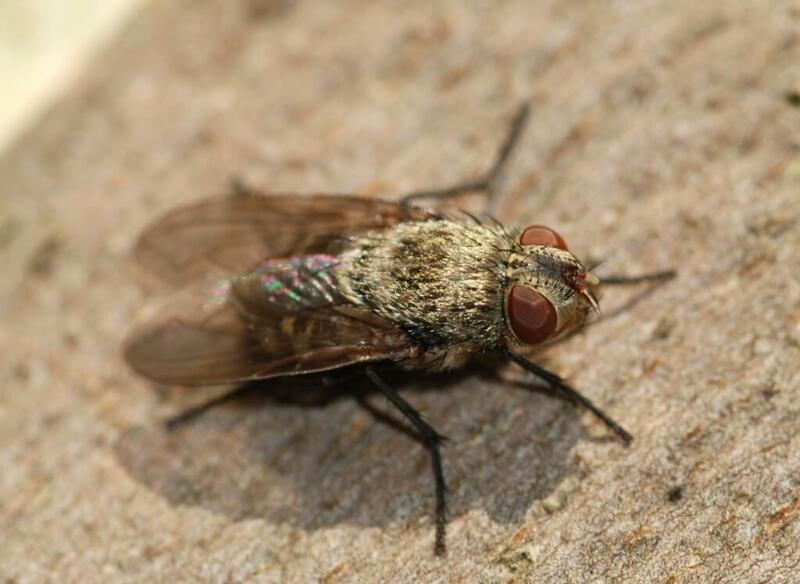 Unlike more familiar blow flies, such as the bluebottle genus Phormia, they do not present a health hazard because they do not lay eggs in human food. They are strictly parasitic on earthworms; the females lay their eggs near earthworm burrows, and the larvae then infest the worms. However, the flies are a nuisance; when the adults emerge in the late summer or autumn, they enter houses to hibernate, often in large numbers; they are difficult to eradicate because they favour inaccessible spaces such as roof and wall cavities. They are often seen on windows of little-used rooms. They are also sometimes known as attic flies. The typical cluster fly Pollenia rudis is about 7 mm long and can be recognised by distinct lines or stripes behind the head, short golden-coloured hairs on the thorax, and irregular light and dark gray areas on the abdomen. Cluster flies are typically slow-moving. Cluster flies have a widespread distribution. Eight species are found in Britain and 31 in Europe. Pollenia species are also numerous in Australia and New Zealand (over 30 species); they are a common pest in North America. P. rudis has spread widely in association with humans.